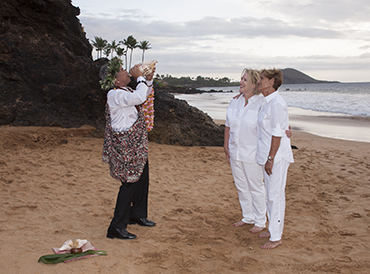 Religious and Non-religious Gay Maui Wedding Ceremonies are available. Your Hawaii wedding can have a ceremony of your choice. Please take a look at our ceremony pages listed below, and select which wedding one is perfect for your special day. You may also add your own vows into the ceremony. Children can also be incorporated into the ceremony. 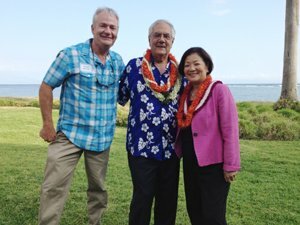 We at GayHawaiiwedding.com wrote our ceremonies in the early 1990’s when we began advocation for marriage equality. 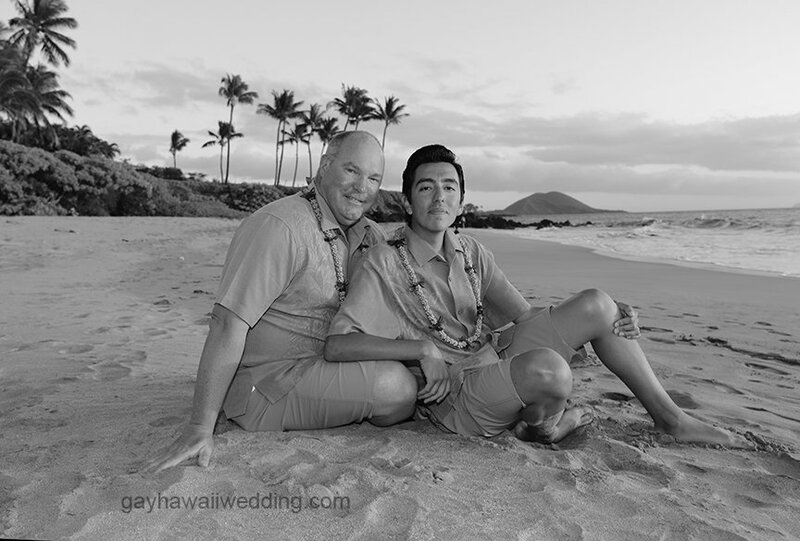 No other Hawaii wedding company would even do a gay wedding, but we did, even though it was symbolic since the state would not recognize equal rights. 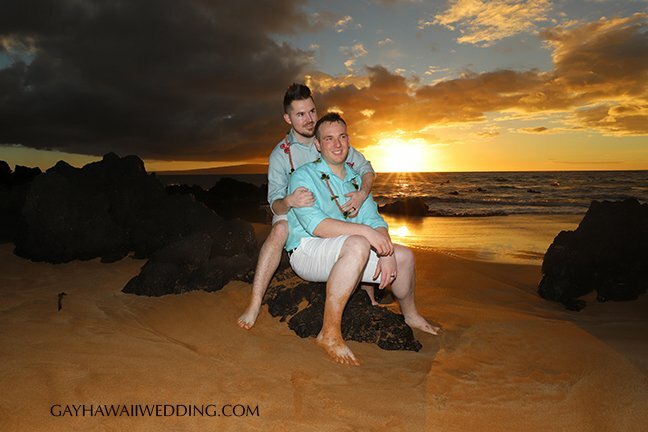 Religious and Non-religious Gay Maui Wedding Ceremonies are very nice. We realized and respect that not everyone wants a Christian ceremony so we added the spiritual non-religious wedding ceremony. It is for those couples that still want a beautiful ceremony without too much religion involved. It does bring spirituality to the ceremony. The civil ceremony does not represent any spirituality and it god for those who are agnostic, atheists, or just want a sweet and simple ceremony. Many couples are somewhat religious but also like our Hawaiian wedding ceremony. 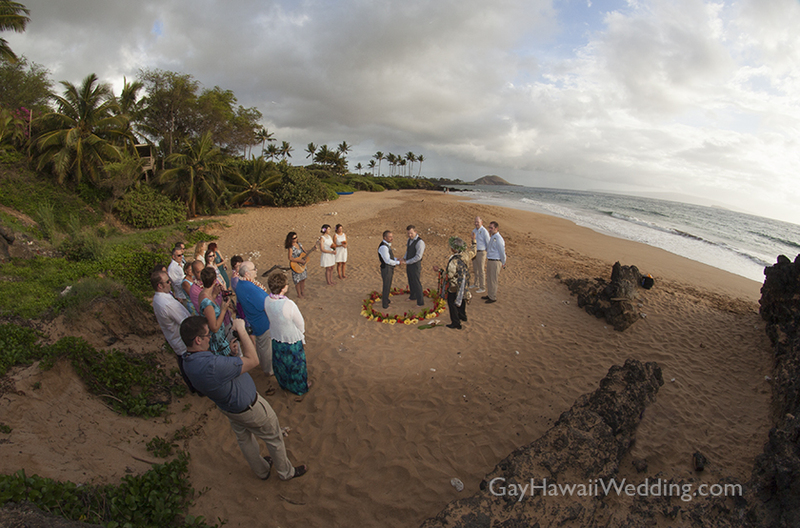 We can add a Christian prayer at the end of the Hawaiian ceremony so you get a combination of both ceremonies. This is particularly good for couples which one person is Christian and the other is not as religious. This makes it a good compromise. 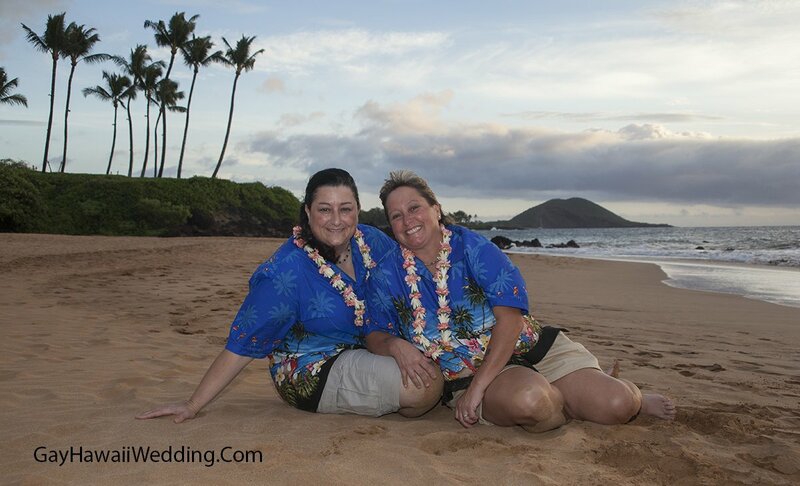 Because your Maui wedding or vow renewal is your special day and ceremony, we have absolutely no problem and encourage you to alter, add or delete any wording from the ceremony. It’s your wedding or vow renewal and you can have it how you want.